At Koninklijke Tichelaar we like to help the architect or designer to shape his / her vision in glazed ceramics. That is why we don't work with standard solutions from a catalog, but invite the architect / designer to contact us early in the concept fase of the process so that we can investigate together what the possibilities are. The architect and designer have a vision about their concept, we have the knowledge and experience in ceramics and glazes and we know what possibilities there are. This way we reinforce each other and often stimulate the architect/designer on ideas. This process is characterized by; working together, developing, exploring possibilities. We call this co-creation. In working this way, we often bring the architect new ideas and it stimulate us to look for the limits of the possibilities of ceramics and glazes. We like to apply co-creation in the concept fase of the development of a ceramic skin for a building or facade, but also for the application or processing of the ceramic. 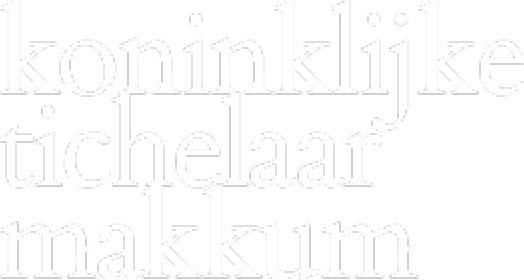 how does Koninklijke Tichelaar deal with co-creation? We like to discuss the possibilities and directions early on in the design phase in order to achieve a suitable ceramic shape and special glaze together. After which a development process can be implemented. This ultimately gives the best result and the best guarantee that what the architect wants in her/his design can be realized. The method of Koninklijke Tichelaar is fully capable of realizing the architect's wishes. Co-creation makes the process from idea to realization very innovative, as evidenced by the many appealing architecture and design projects that we have developed in collaboration. And which are well-known at home and abroad.